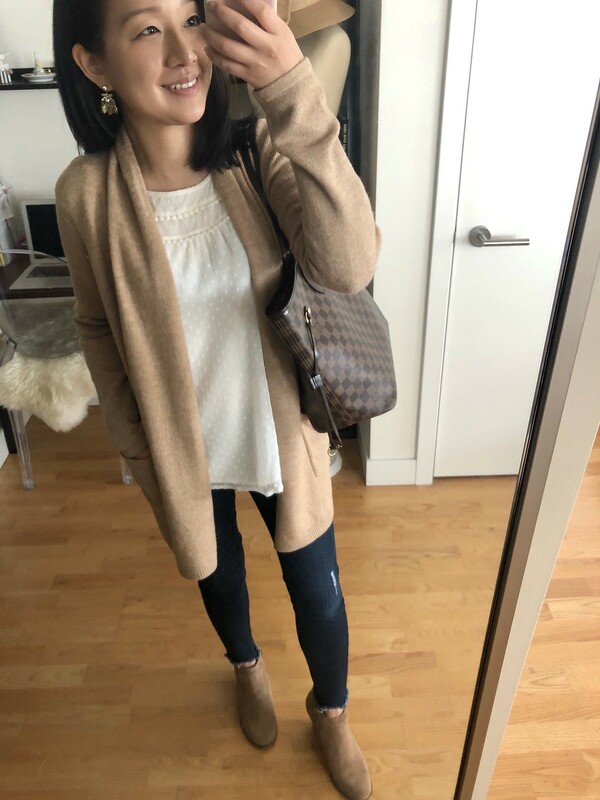 This poncho turtleneck sweater (similar back in stock here), this ribbed fringe wrap (review here) and this shawl pocket open cardigan (review of size XS regular and XSP here, review of size SP below) are my favorite recent purchases for the fall transitional weather. Flash Sale Alert! 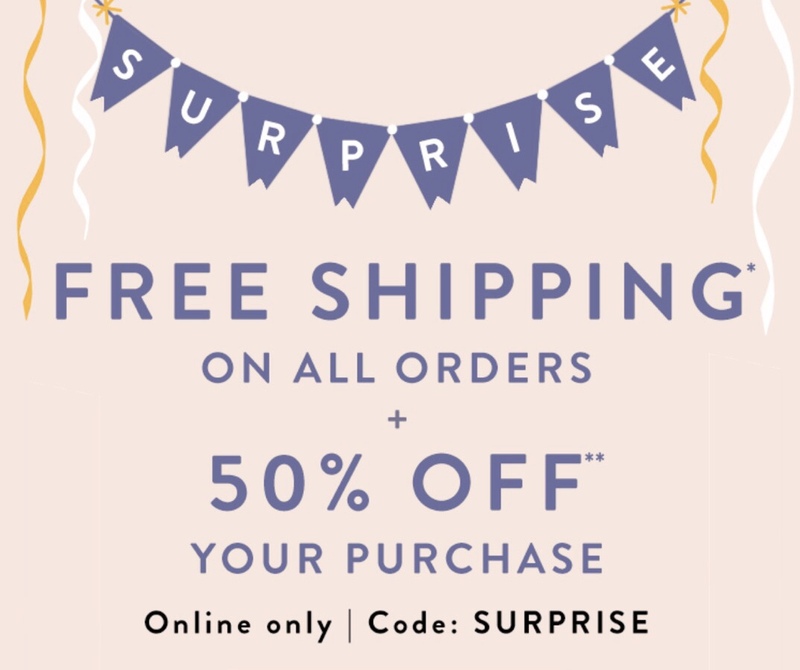 Get FREE shipping plus 50% off your purchase at LOFT. Use code SURPRISE. Sale ends Tuesday 10/2 at 3AM ET. 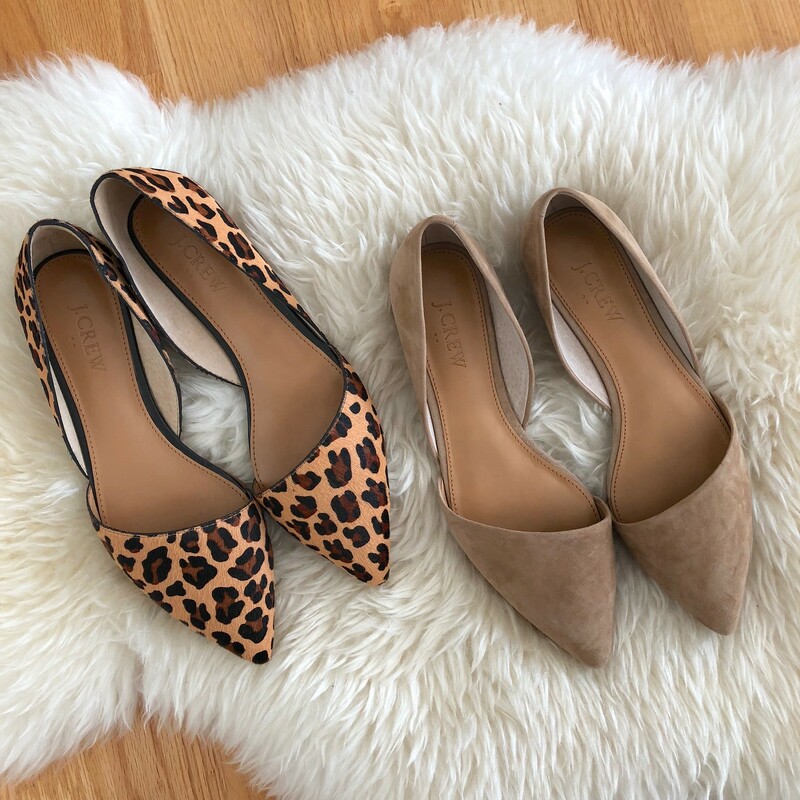 Select full-price styles are now $20 and under and since no code is needed on these styles you can use code APR441LC for $25 off your full-price promotional purchase of $75+ (click here for the in store bar code). The sale ends on the October 2 which is first Tuesday of the month (more info here) so there’s a 3 hour overlap between the end of this sale and the first Tuesday 15% Cardmember discount from 12-3AM ET (9PM-12AM PST). Sometimes LOFT will extend the flash sale for another day to give us more time to shop in which case the overlap will extend to Wednesday October 3 12-3AM ET (9PM-12AM PST). However, the last few first Tuesdays of the month have not worked online as expected right at midnight so I’ve been disappointed if I made a point to stay up late to shop. The online glitch is not fixed until later in the morning (usually around 10AM ET) when enough of us have contacted Customer Service. Thanks to Mel for the reminder about the Cardmember discount! Please check out all of my LOFT reviews here. I like these ponte leggings but they fit very snug through the legs. When I took them off I had a imprint on my legs from the seams. They make my legs look slimmer than usual which admittedly makes me self conscious. Refer to my review of them here and here. Size 0P measurements are as follows: 26″ waist, 24.5″ inseam, 7.5″ ankle opening. 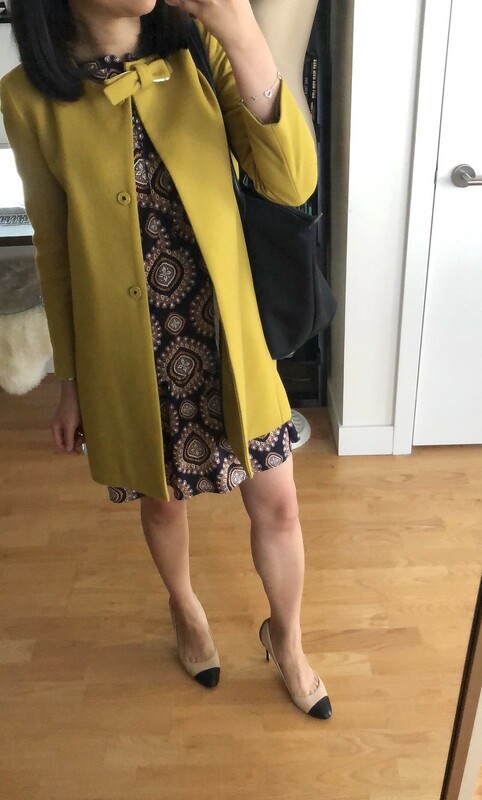 This medallion flippy dress and Crewcuts bow coat continue to be closet favorites that I pull out from storage come fall. 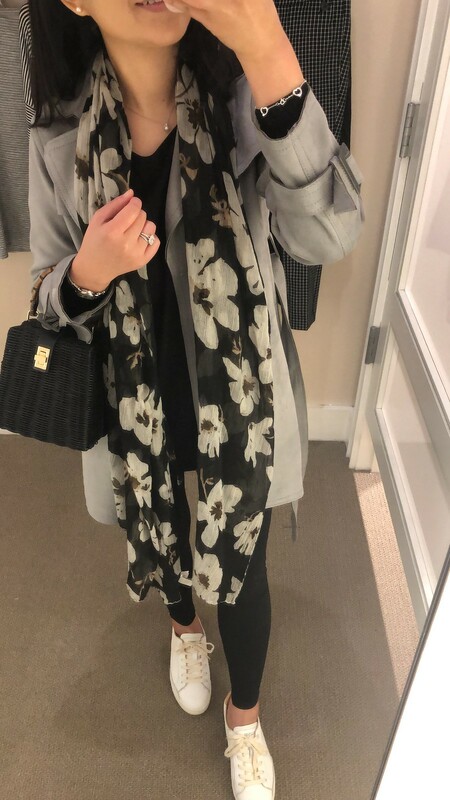 I finally wore out this grey trench coat last seen here in my recent sponsored post with Ann Taylor. 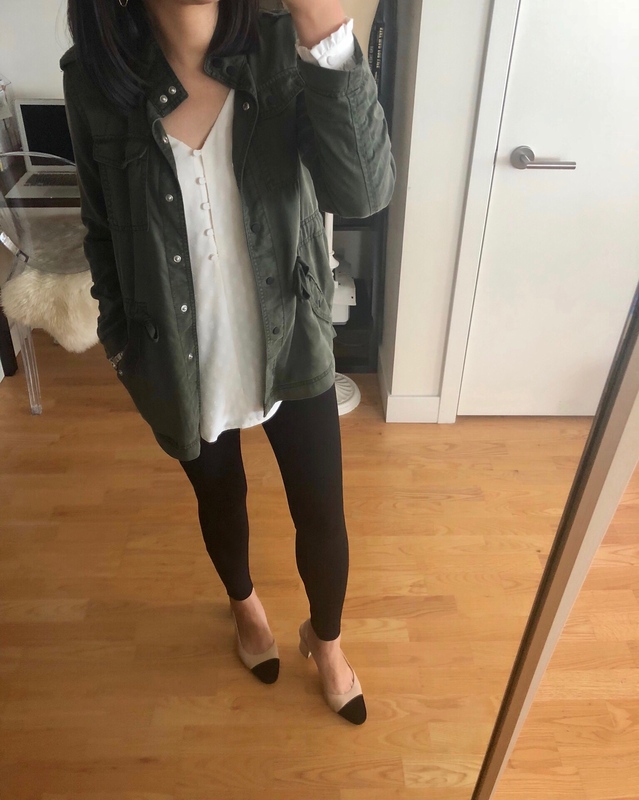 I also wore out this moto jacket yesterday but it was actually warm enough that I didn’t really need a jacket. 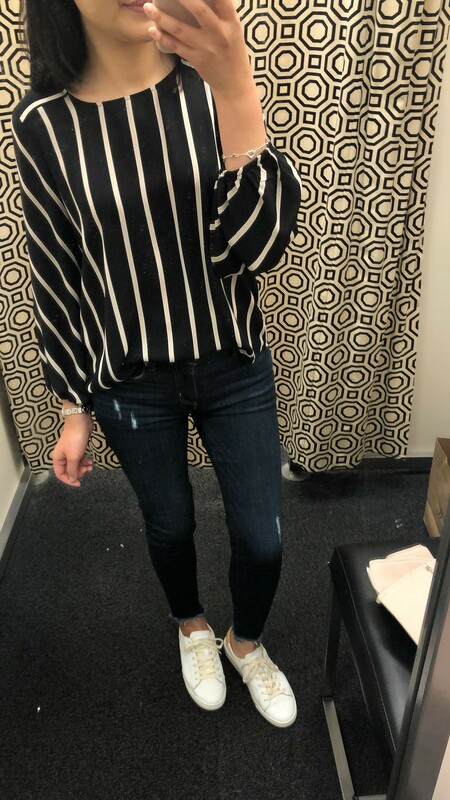 If you loved this blouse from the spring then you may want to check out this striped square neck tie waist dress for the fall. 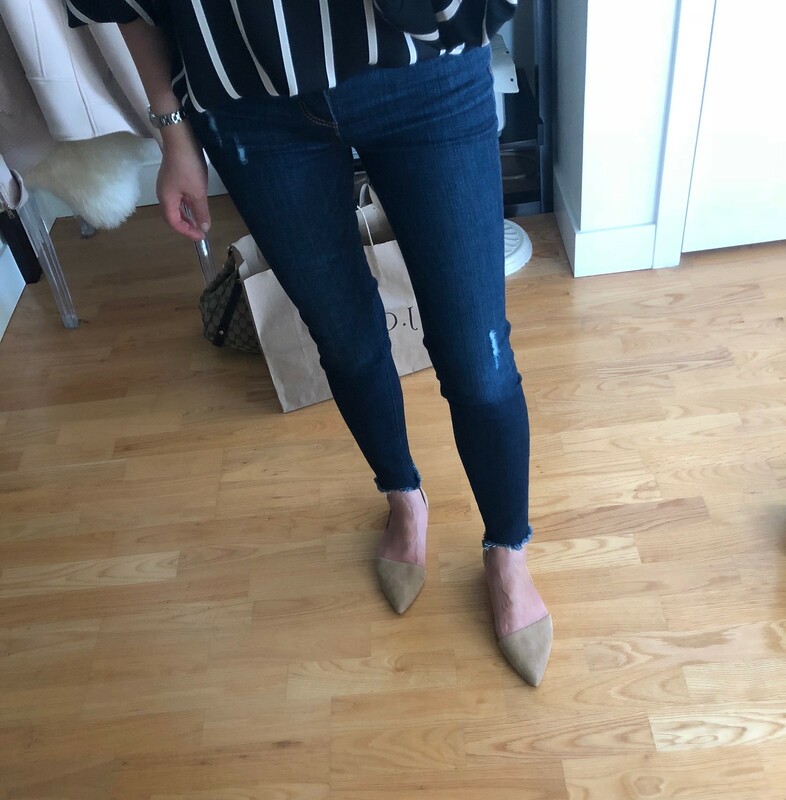 For size reference I’m 5′ 2.5″, currently 108-110 pounds and I’m usually size XS petite in tops and 0/25 petite in pants and jeans if an item runs true to LOFT sizing. If you’re new to my blog I typically share the link to a short video clip below each still image. It’s the same video clip I sometimes share to my Instagram stories. I’ve also been slowly updating Pinterest with some try-ons for those that prefer a more visual search of my reviews. 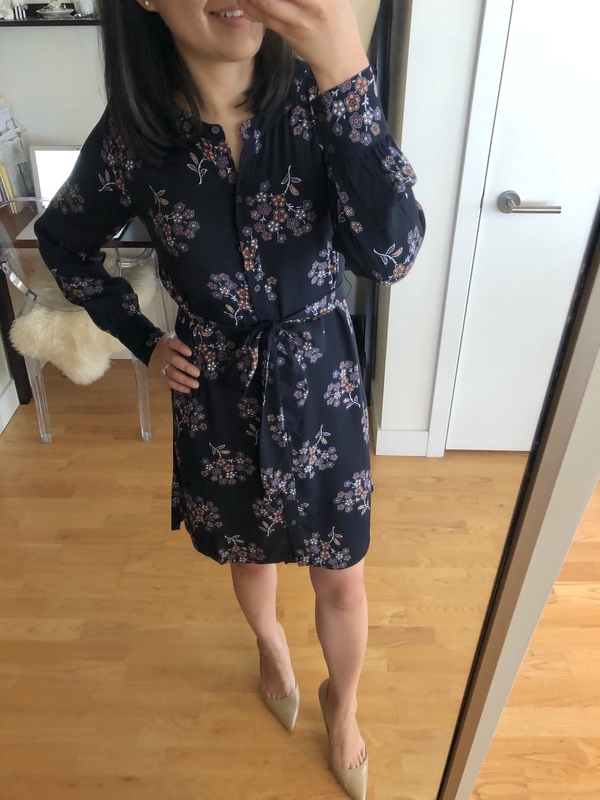 I took this wrap dress in my usual size 0P and the waist measures 26″ and it has 21.5″ sleeves. The total length is 35″. The front wrap portion is more open so you may want to invest in some fashion tape. This dress is a beautiful fall hue plus it will be perfect for upcoming holiday festivities. I took this dress in size XXSP which fits like my usual size XSP or XXS regular due to the longer length. Size XXSP is 34.25″ total length and 23″ sleeves. It’s 100% viscose so I am nervous to wash it but figured I’d take the chance. The last 100% viscose top I bought was this top from Abercrombie last year and that top had washed well on cold and air dried. 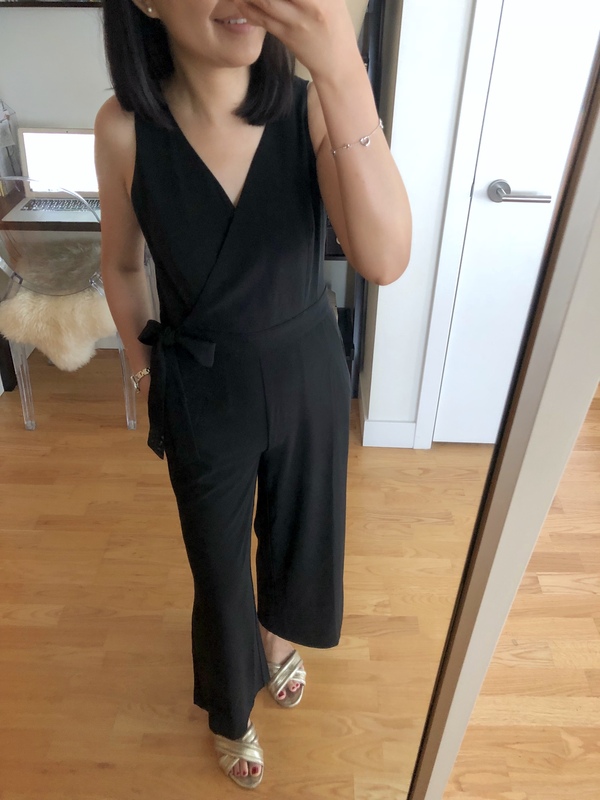 I ordered this jumpsuit in size 00 regular instead of petites since it has a shorter inseam making it petite friendly. For reference I’m 5′ 2.5″ and I found that the top potion is very wide and short waisted. I returned the jumpsuit since it was an awkward fit on me. 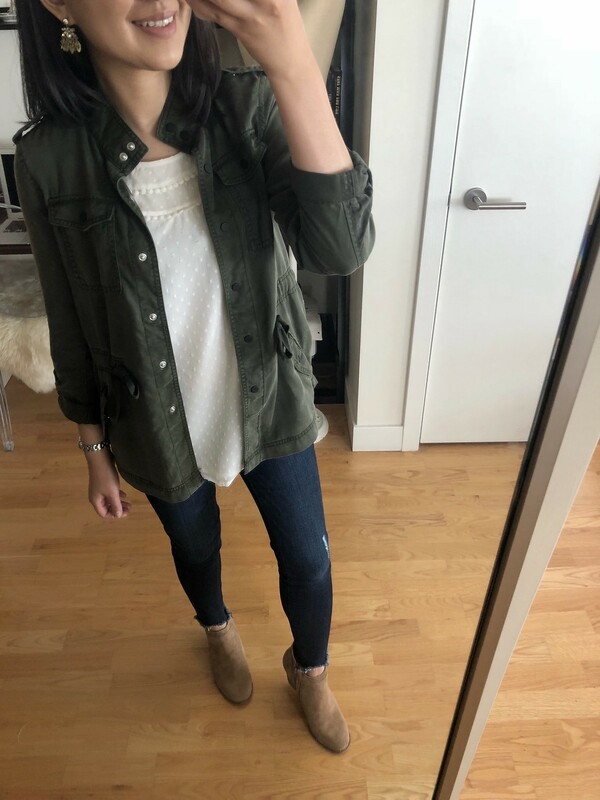 I had high hopes for this cute top but it’s thin and unlined and more of a spring or summer top. It’s very long on me in XXS regular so I returned it. I wish it was offered in petites for a better fit. The waist is a bit narrow so it can show love handles tops as opposed to hiding them. 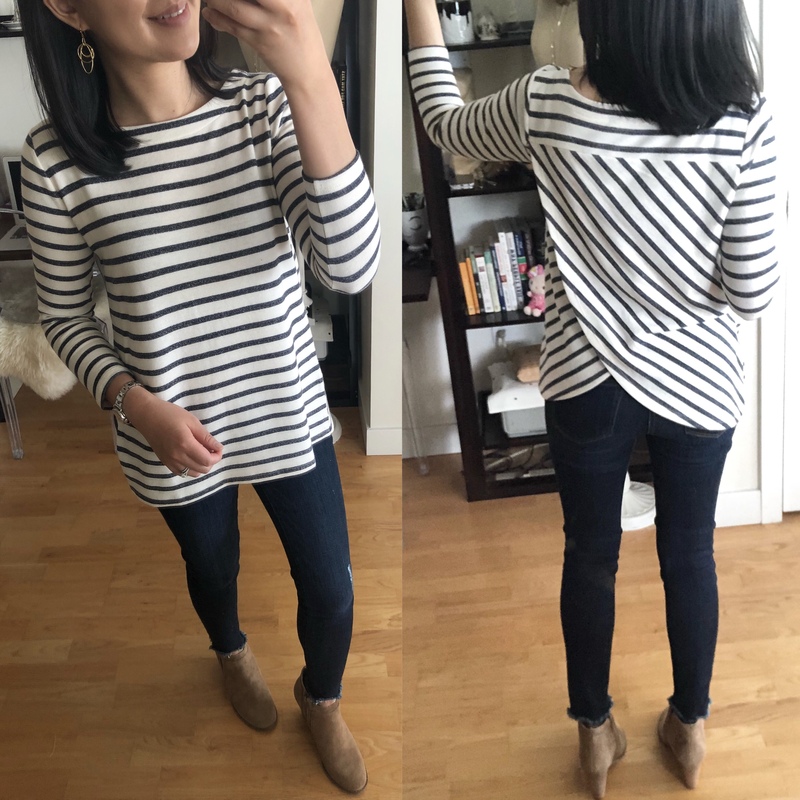 This striped top is really cute with the tulip open back but the body is very loose fitting. I ordered size XXSP to try since my usual size XSP was too long and too loose. I am worried if the sleeves will be too snug but I’ll see once I receive the new size. 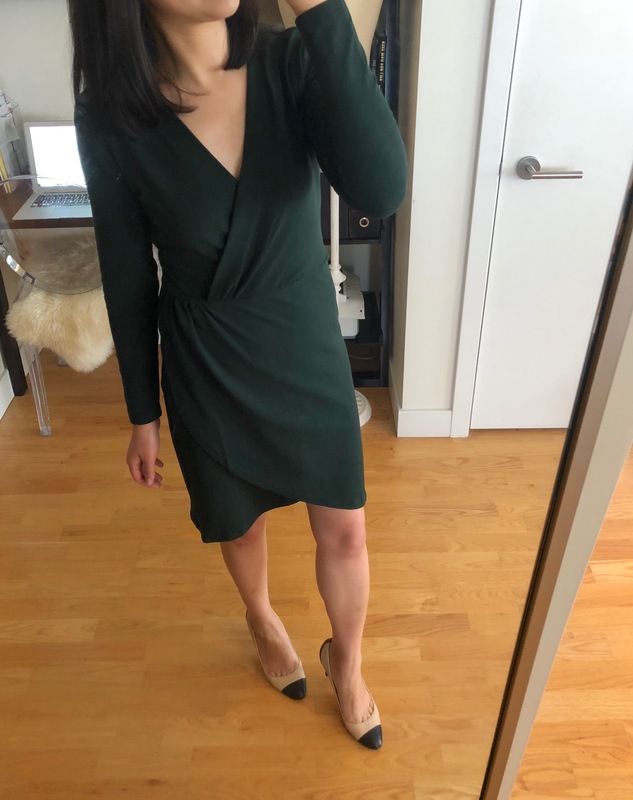 Update 10/4: I received size XXSP in the mail today and the shoulders (13″), bust (32.5″ measured pit to pit) and sleeves are too snug for comfort so it’s going back. Sadly I’m somewhere between size XXSP and XSP so there is no happy medium for me for the sizing on this top. 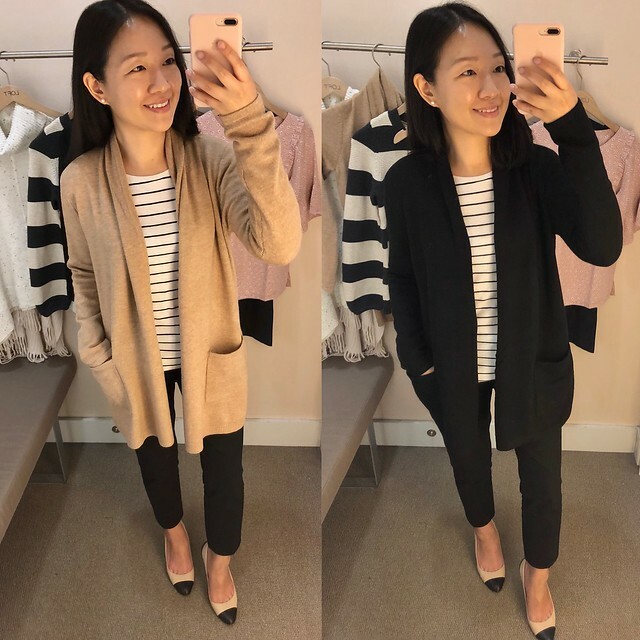 I popped in store last weekend to try on this cardigan in size SP since size XXS regular was too loose (review below). Size SP has 23.5″ sleeves and is 30″ total length. I also measured the black color and for some reason the black one is 31.5″ total length. I ended up ordering black and the camel color prior to the flash sale when I was able to stack the LOFTCASH code for $25 off $50+ (the LOFT cash promo has since ended) and I used the in store pick up option so I wouldn’t have to pay for shipping. To quickly recap, my usual size XSP fits me well but I went up one size to SP so that I can comfortably layer with long sleeves underneath. These grid print pants looked really cute on the tables but my usual size 0P was too snug through the legs. If you have really slim legs and are looking for very slim pant legs then you may like these pants. Sizing up would probably make the waist too loose on me so I am passing on these pants. 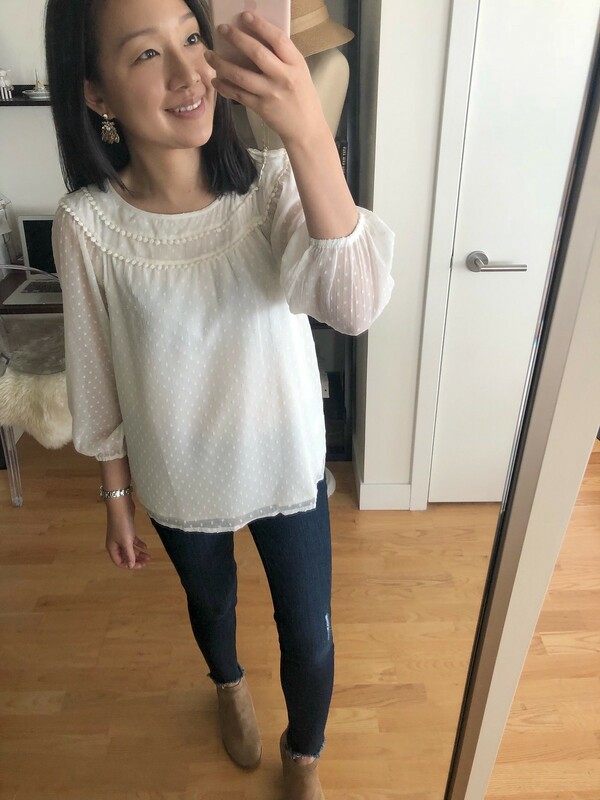 This swiss dot blouse is very pretty but it has a very relaxed fit so the loose fit doesn’t do me any favors. It looks best with a cardigan or jacket layered over it as shown below to hide the poor fit on me. It’s fully lined so it’s not too sheer. I ended up returning it begrudgingly since I have a thing for feminine swiss dot blouses. 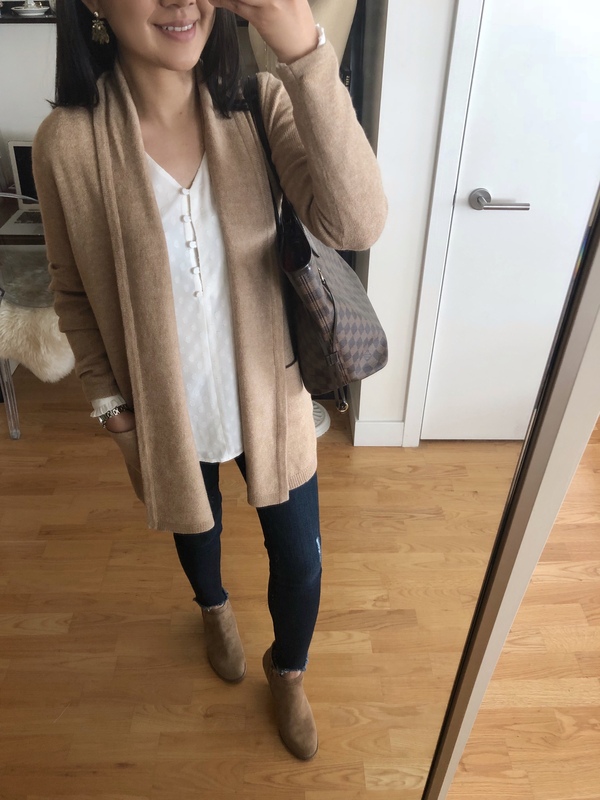 Size XXS regular in this cardigan wasn’t a better fit than size XS regular (review of size XS regular and XSP here). 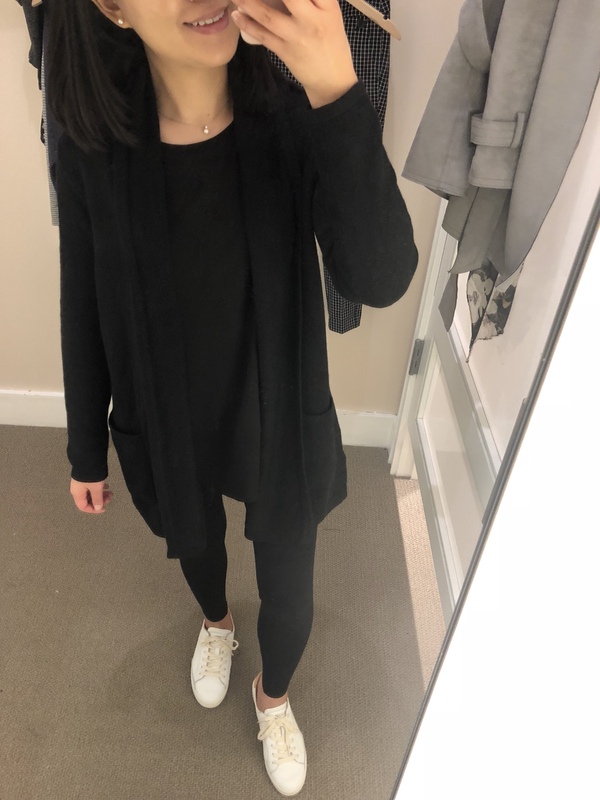 Update 10/15: I originally purchased this cardigan in size S petite but the sleeves are too wide so I’ll give this size to my little sister. 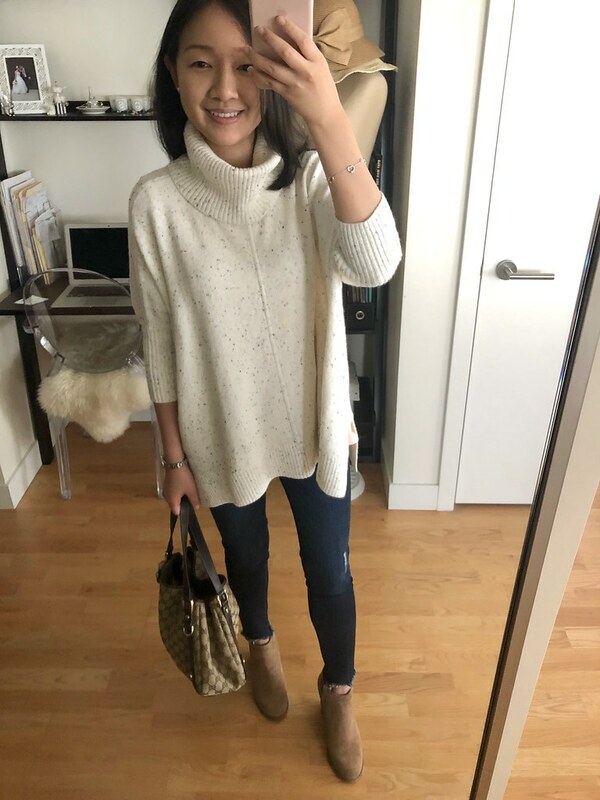 I plan on getting at least my usual size XS petite or sizing down to XXS petite but the camel color is currently sold out in the smaller petite sizes online. Over the weekend I tried on the pink color in XXS petite and the sleeves are still surprisingly still loose fitting despite sizing down. 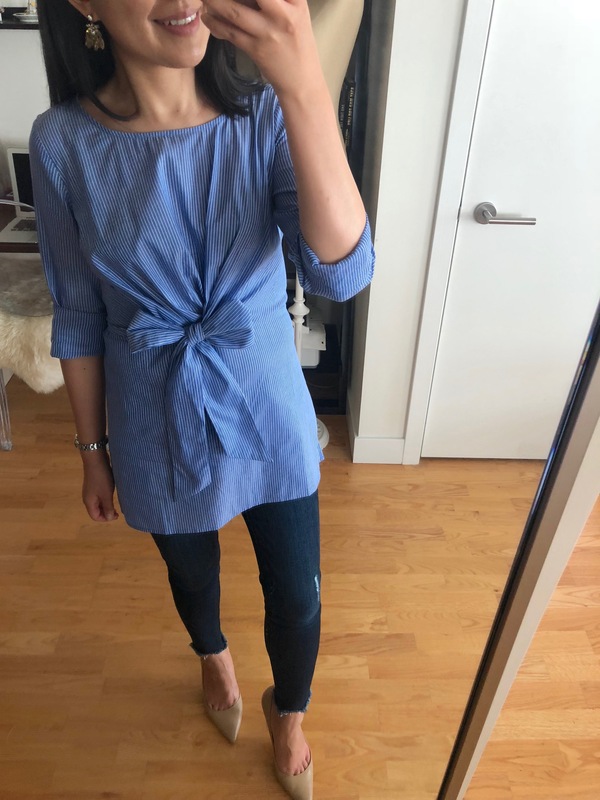 This top comes in petites and I really should have ordered it when it was available but now most of the petite sizes have sold out online. Size XXS regular was too long and loose fitting on me. It is fully lined and not too sheer. 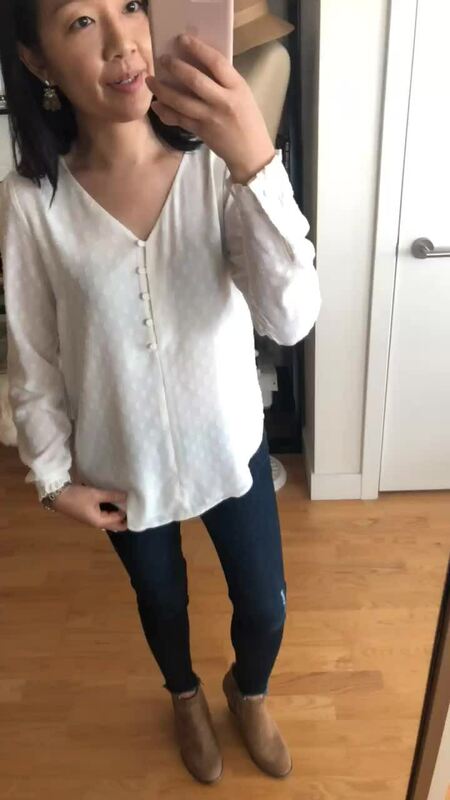 Again I tried to style this blouse with a cardigan and jacket over it to see if it was versatile enough to keep but I didn’t want to settle on the wrong size. I’ll have to keep an eye out for the petite sizes to pop back. I like the button detail for added interest. Get 50-60% off sweet deals at LOFT Outlet plus get an extra 10% off. Use code SWEET. Sale ends 10/2. 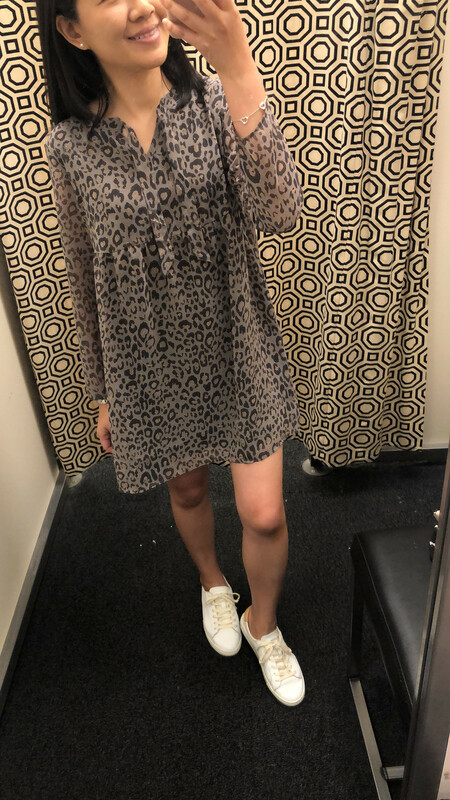 I was curious about this leopard print swing dress but it has a loose babydoll fit and the overall length is too short for my preference in my usual size XSP so I had to pass on the dress. 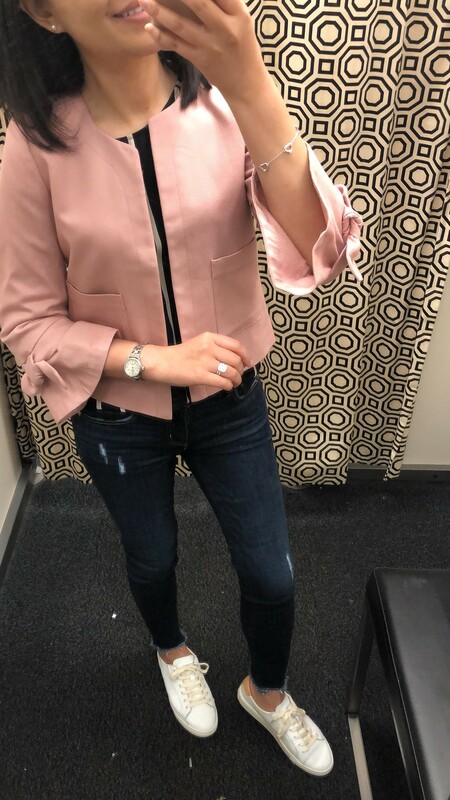 Since it’s dark grey it looks cute paired with the pink moto jacket below. 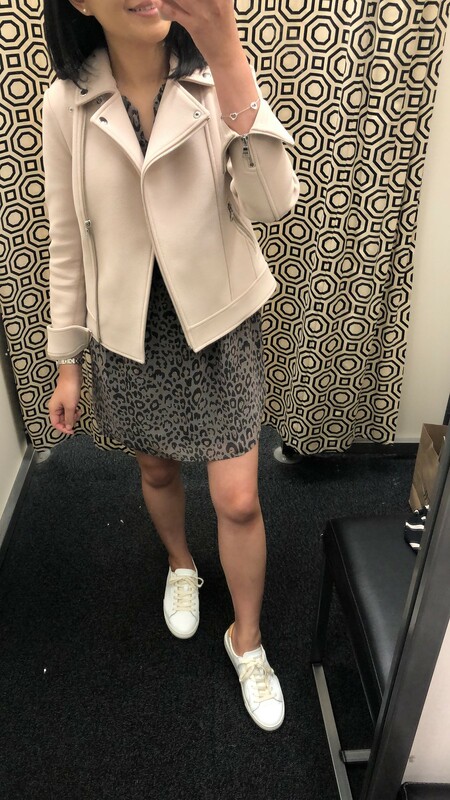 I was surprised to see this jacket in store since this seems more like a spring jacket due to how thin it is. I like the bell sleeves and the cute bow detail but I wish it was offered in black or white for versatility’s sake. Size XXSP fit me well but I didn’t get a chance to try on XSP for comparison. I wanted these flats since spotting them on Kendall @styledsnapshots. 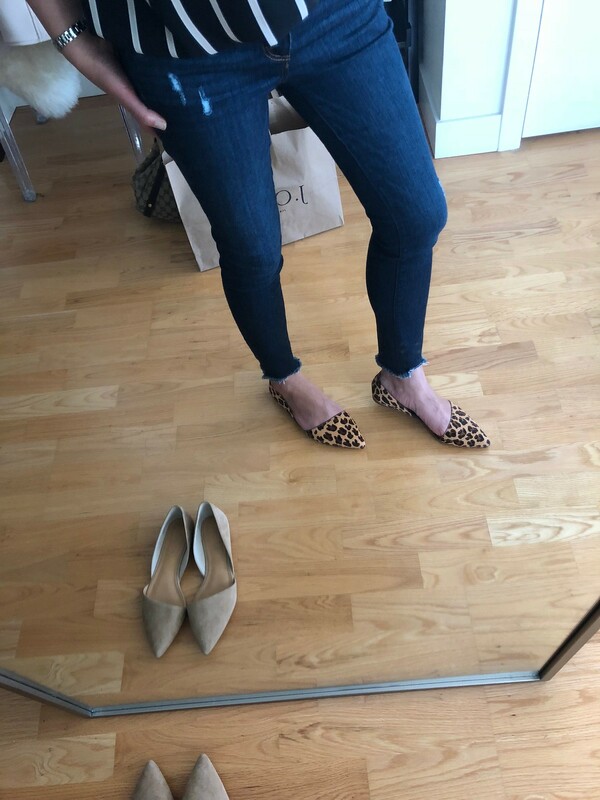 They are very chic but I am still iffy about the leopard print pair since they have a lot more American cheese orange than I prefer. The shoe I tried on in store was a more of a neutral/tan shade but I couldn’t find the matching shoe so I grabbed a new, unboxed pair. Here is a tip on how to break in the heels of your flats if they’re stiff in the back. These flats ran true to size for me. I took my usual size 7. I softened up the back heel with this tip and I am wearing them around the house before wearing them out. Update: I wore out the neutral pair today and it was a big mistake because I didn’t take my own advice and soften up the back heels enough so I definitely feel blisters forming. I also forgot to account for my feet swelling from walking so my feet cramped up since the shoe has zero arch support. You might want to try a half size up for comfort but I’m afraid that would make the shoe too loose once I do break them in. Please check out my new IGTV reviewing a new zip top bag organizer that I purchased.